The Presidency has responded to a statement by the presidential candidate of the Allied Congress Party of Nigeria, ACPN, Oby Ezekwesili, comparing President Muhammadu Buhari to Presidential candidate of the Peoples Democratic Party, PDP, Atiku Abubakar. 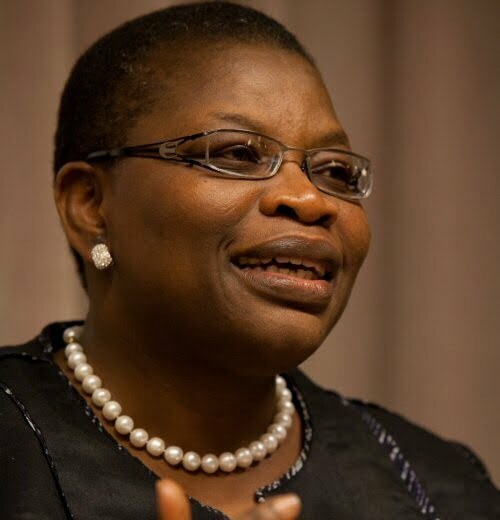 Ezekwesil boasting on how she would use her campaign strategies to defeat President Muhammadu Buhari and the Peoples Democratic Party, PDP, presidential candidate, Atiku Abubakar described both presidential candidates as similar and not different. But, reacting, Special Adviser to Buhari on Media and Publicity, Femi Adesina on Channels Tv said Ezekwesiliâ€™s opinion will not determine who would be the next president in 2019. According to him, â€ It is within Ezekwesiliâ€™s democratic right to compare Buhari to Atiku but by February next year, we would know who is running genuinely and who is a pretender. â€œIt is her opinion; we donâ€™t have to agree or disagree with her, the country knows that there would be a contest and the result will be a pointer to what the country prefers. it is her opinion that does not make it the gospel. â€œWhat we know is that the contest is ahead and going to be a contest between light and darkness. Speaking on predictions from Economic magazine and United States of peace on 2019 election, Adesina added that predictions would not determine the winner of 2019 election but votes from Nigerians. â€œEconomic magazine; it is not an endorsement for 2019 but just an analysis, Also same with the United States of Peace forecast. â€œThey are all forecast outside the country, only Nigeriansâ€™ vote will determine the winner of 2019 election. Do not forget that the same Economy magazine said Hilary Clinton would defeat Trump but she lost,â€ Adesina added.